We have maintained electronic records since 2001. All patient medical records are stored and secured for maximum confidentiality. Patient medical records are stored and secured for maximum confidentiality. Your written signature is always required for any release of your medical records or information. 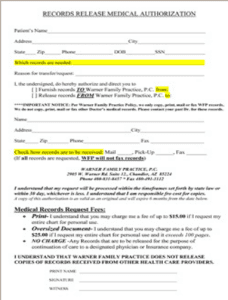 Prior to any release of records to your insurance company, the carrier is required to obtain your signature for release of records at the time of application. If, for any reason, you wish your records not to be released to your insurance company, it is necessary for you to contact them. Previous doctor’s records should be requested from their respective offices. Digital x-ray files may be picked up at the facility where they were taken if needed for an appointment with a specialist.